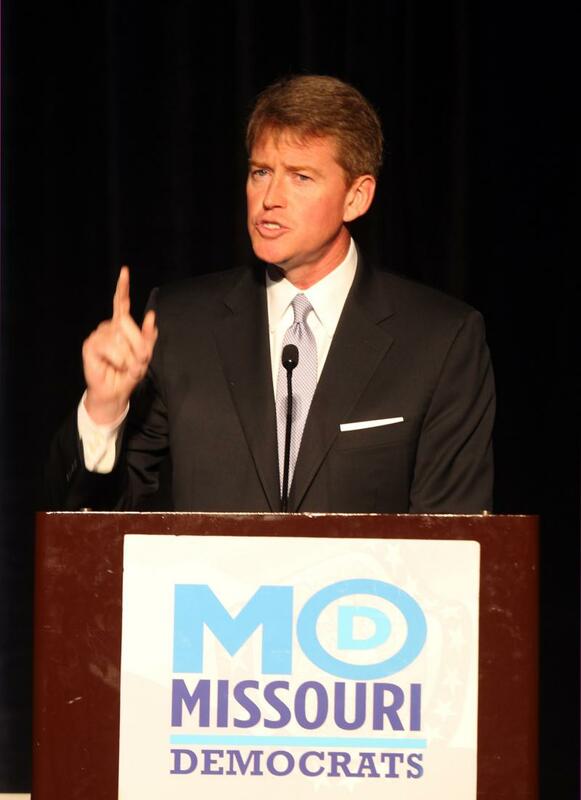 Seven years after leaving the Republican Party, Missouri Attorney General Chris Koster has in effect taken the reins of the Missouri Democratic Party. That point was underscored Saturday night when -- shortly before the Democrats' annual Jefferson-Jackson dinner -- Koster presented the state party chairman a check for $100,000. That's the second such six-figure donation that Koster has given the state Democratic operation in the past year -- making him the largest single donor to the state party. Update 9/27/12 9:30 AM with response from Akin campaign. 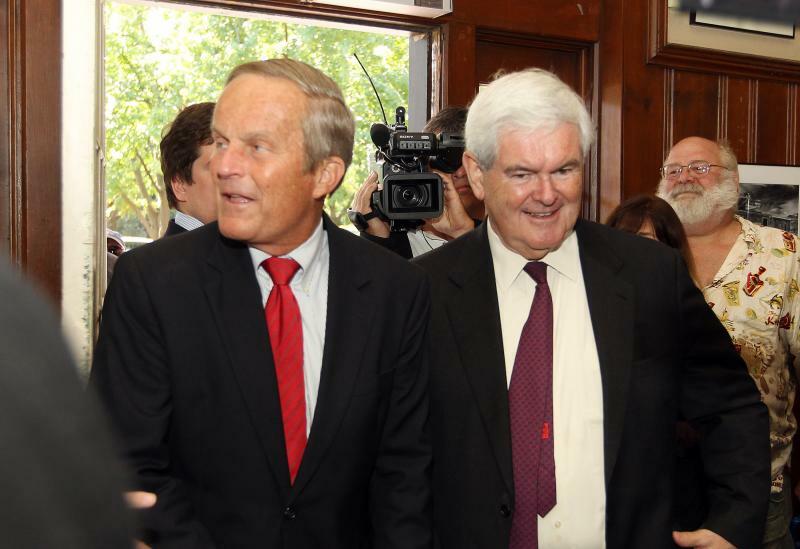 The Missouri Democratic Party has filed ethics complaints against Todd Akin, alleging wrongdoing for coordinating with a Super PAC in exchange for campaign cash. Missouri congressmen Lacy Clay and Russ Carnahan have some differences of opinion when it comes to the potential political impact of their Democratic primary battle. Both are running for the Democratic nomination in the 1st congressional district, which Clay has represented since 2001. Carnahan decided to challenge Clay after Carnahan’s south St. Louis city and county district was split up following the 2010 census. Clay calls the situation “unfortunate". Originally posted at 9 a.m. Updated at 1:45 p.m. with comments from Carnahan, Clay and analysts. 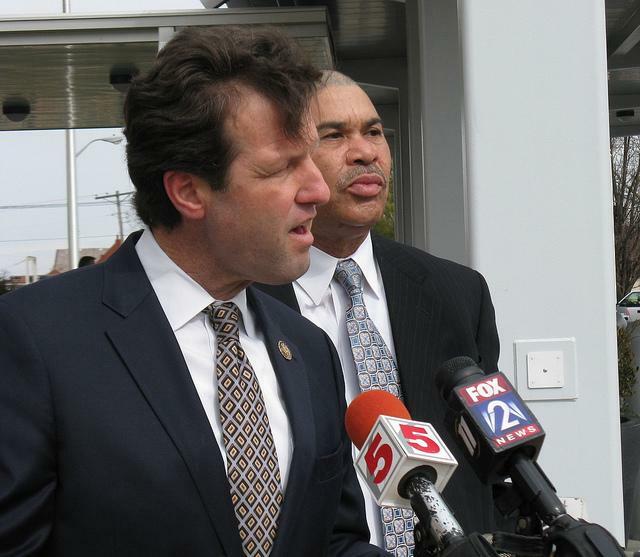 A potentially nasty Democratic primary is brewing in the St. Louis area. The executive director of the Missouri Democratic Party has been placed on unpaid leave while St. Louis police investigate allegations of a domestic assault. Police said Tuesday that they were called to a home listed as the address of Matthew Teter on Sunday, when a 31-year-old man reported that he had been assaulted by a 30-year-old man at that address. Police did not release the names of the people involved in the incident because the investigation is ongoing. This article first appeared in the St. Louis Beacon, Jan. 17, 2012 - Still without a Republican opponent, Attorney General Chris Koster has more than $1,286,000 cash on hand for his re-election bid later this year. This article first appeared in the St. Louis Beacon, Nov. 20, 2011 - As expected, the Missouri Democratic State Committee on Saturday elected Jackson County Executive Mike Sanders as the new state Democratic Party chairman and St. Louis Comptroller Darlene Green as the new vice chair. 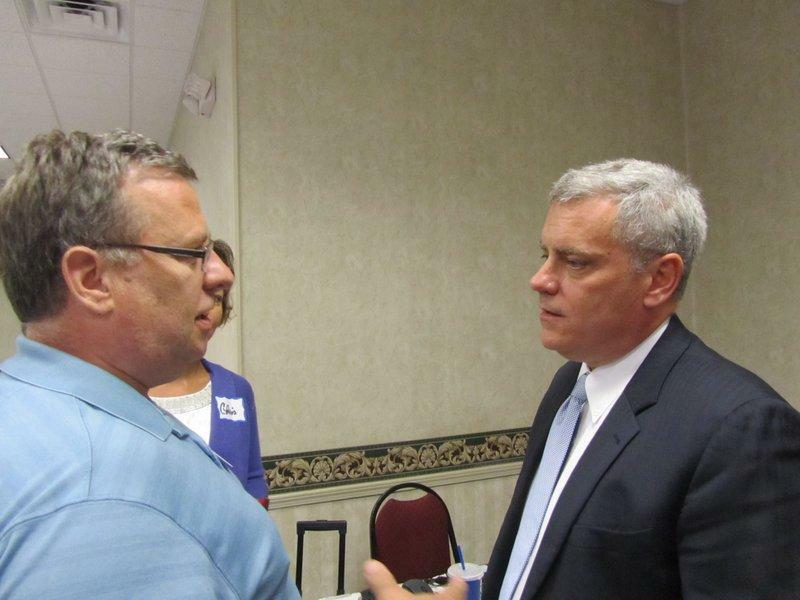 This article first appeared in the St. Louis Beacon, Aug. 31, 2011 - Democrats in St. Louis County and Republicans in St. Charles County chose their respective nominees Tuesday night for two vacant state House seats on special Nov. 8 ballots. A former campaign aide to Sen. Claire McCaskill has been hired as executive director of the Missouri Democratic Party. 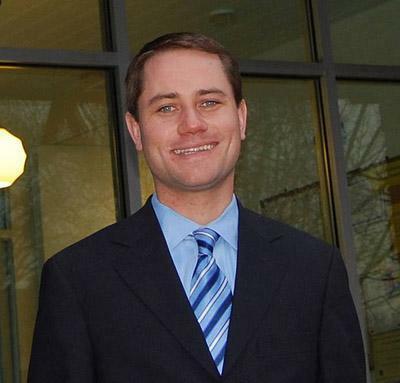 The state party says Matthew Teter began his new role Tuesday. 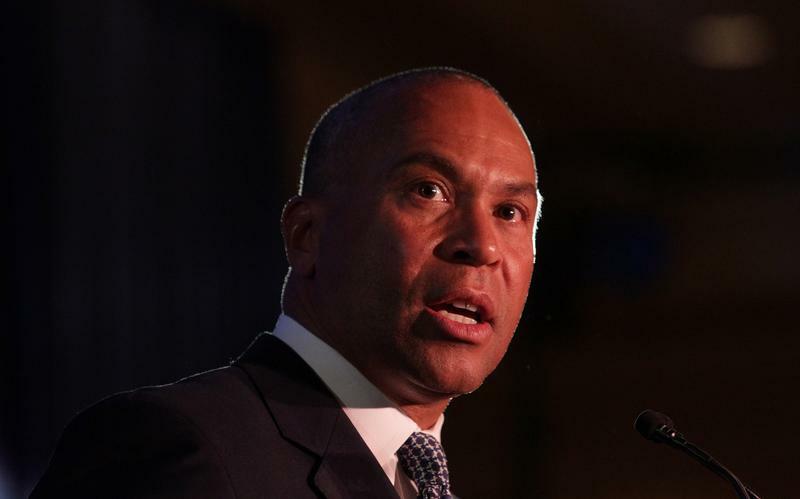 He'll replace Brian Zuzenak, who is leaving March 31 after a transition period. Missouri Democrats have undergone a leadership change after losses in the 2010 elections. Former State Auditor Susan Montee took over as chairwoman of the party in December, replacing Craig Hosmer. Montee also is an ally of McCaskill.